Built on the site of an ancient Pagan burial ground, The Ancient Ram Inn, situated in the village of Wotton-under Edge in Gloucestershire, England has something for every ghost and lover of all things devilish – although if you want a pint, you’ll need to find a local hostelry. It last functioned as a public house in 1968 when the brewery sold it to John Humphries for £2600. 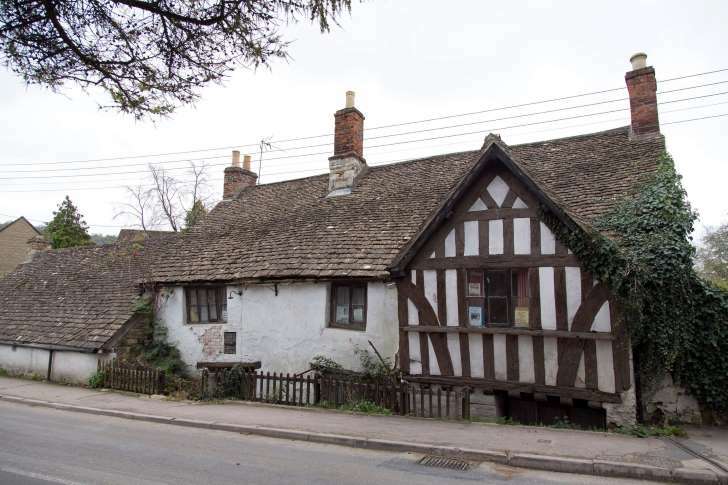 He has made it his mission to save the building (dating from 1145) from rack and ruin. 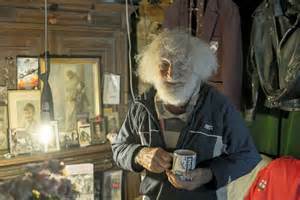 Today, in his 90s, he is still there and maintains his enthusiasm for both the building and its spirit inhabitants. 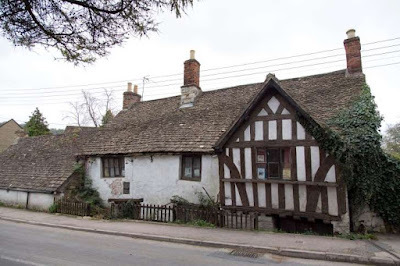 He claims he is regularly visited – and even attacked – by the spectral co-habitees and there have been sightings of previous owners of the inn, including a former innkeeper and his daughters. 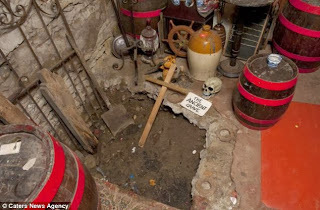 There is also the ghost of a woman known as Elizabeth who is believed to have been murdered and buried beneath the bar. John welcomes ghost hunters and organised overnight ghost hunts. He is happy to share the wealth of information he has amassed about the legends and stories connected to the Inn. Child sacrifices, devil worship, witchcraft and even a link to Stonehenge are just some of the links that make this ancient place so fascinating. There is a room in the Inn known as the ‘Witch’s Room’ for very good reason. It would appear that during the 1500s, a woman accused of witchcraft took refuge there but was eventually captured and burned at the stake. She is said to return to her former place of sanctuary. Another legend has it that, at some time in its history, the water course was redirected, causing a portal to open. Unfortunately this was not a desirable turn of events as it allowed some pretty nasty demons to pass through. John Humphries recalls that, on his first night in the property he was forcibly dragged from his bed by a demon and flung across the room. The present owner also found evidence of devil worship and the skeletons of a woman and child buried under the stairs. Broken daggers were found embedded in them. 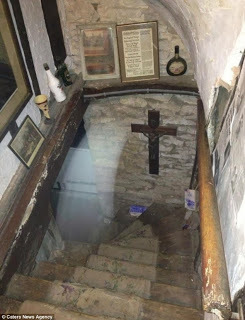 The ‘Bishop’s Room’ is reputedly haunted by a woman hanging from the ceiling and by monks, who terrified guests when the Inn was a Bed and Breakfast establishment. Many would refuse to stay in that room. Others would flee in the middle of the night. Outside, the old barn has played host to unexplained dark shadows which have frightened guests rigid. In the second half of the twentieth century, the former Bishop of Gloucester – Rt. Rev. John Yates – is reported to have attempted to exorcise the Inn, but failed. He called it, "the most evil place I have ever had the misfortune to visit" (Western Daily Mail). The Inn was used many centuries ago as a keeping house for slaves and workers who built nearby St Mary’s Parish Church. No doubt their spirits add to the general melee. A high priestess has been seen sitting on a bed and a young girl’s screams have chilled unwary visitors. Add to this a ghostly centurion on horseback and a succubus who scares the life out of guests by pinioning them down on their beds, and you can see that the Ancient Ram Inn serves up a heady cocktail of supernatural fare. As for the Stonehenge connection: This depends a lot on whether you are a believer in the power/ phenomenon of ley lines. Those who do state that the Inn is built on the intersection of two of them which connect directly with the centre of Stonehenge some seventy (or so) miles away. Legend has it that the power from Stonehenge floods into the Inn making it the conduit for supernatural activity that has given the Ancient Ram its unparalleled reputation. 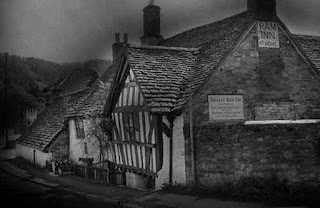 A number of operators hold haunted nights at the Ancient Ram and these are usually booked up well in advance. One of these is Haunted Happenings. I remember seeing this on one if the dozen ghost hunter shows we have over here! Very interesting place! As an American living in a very young country, it boggles the mind to think of buildings still existing from the twelfth century! Yeah, nothing beats a scary place.